In one of the most herculean tasks for biodiversity conservationists, the government in the Democratic Republic of Congo is once again exerting its authority over the exploration of oil in two of the most iconic national parks in the country, whose inhabitants now stare at extinction. Virunga and Salonga parks, both UNESCO World Heritage Sites, are home to some of the most endangered species on the planet, including chimpanzees, Congo peacocks, mountain gorillas, bonobo and apes. A plethora of natural features spanning glaciated mountains, rainforests, savannahs and active volcanoes complete the picture of this haven of biodiversity. Virunga stretches some 3,000 square miles and is often quoted as one of the most ecologically diverse places on earth due to its rich biodiversity. Hosting over 600 mountain gorillas, this park, which is the oldest in Africa, has been a key target for poachers. 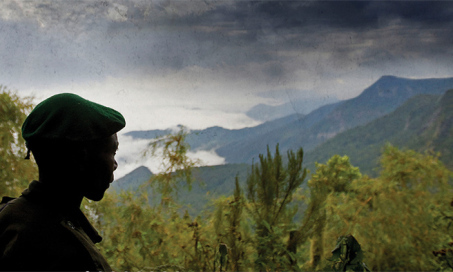 More than 170 rangers have been killed in the past two decades as they guard these animals. Salonga on the other hand straddles 12,900 square miles of the Congo Basin, the second largest rainforest in the world after the South American Amazon. The government says there are oil deposits in the parks and that it would like to explore them. This move would see up to one fifth of Virunga Park being opened for drilling. While previous attempts to tap into the resources of the land back in 2014 by British company Soco International were thwarted by a sustained international outcry from environmentalists, the government has constantly insisted that it knows how to take care of its parks, but should also be allowed to pursue its interests as a sovereign state. Opening up the ground to pursue toxic resources at the expense of such rich flora and fauna is definitely a warped priority and the world should call it for what it is: greed and impunity. The steps taken by companies like Soco to suspend any operations in the parks should be emulated by any company that subscribes to the ethos of people and planet first. The vocal campaigns against the atrocious attempts by the government of DR Congo to defile nature should become louder and bigger, for the sake of our environment.